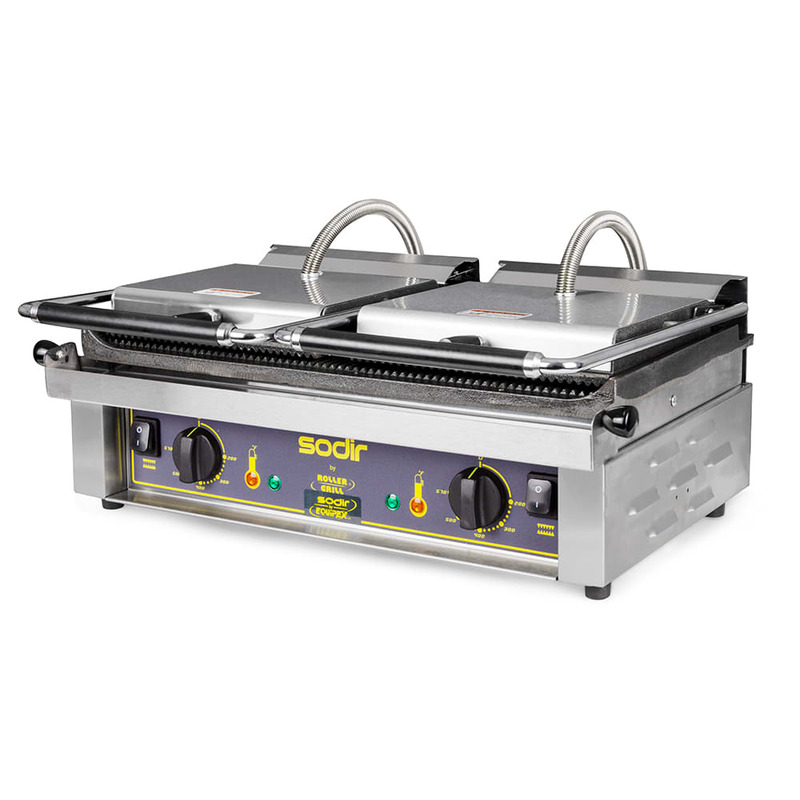 The Equipex MAJESTIC Sodir double panini press has grooved cast iron plates that leave sear marks on food and ensure liquid drains off product. Since cast iron has a high density, the plates retain heat for long periods of time and evenly distribute heat. Made of stainless steel, the base is durable and corrosion resistant. To simplify cleaning, the front drip tray is removable, and scraper blades help clean the plates. This Equipex MAJESTIC double panini press operates at temperatures as high as 570 degrees Fahrenheit. 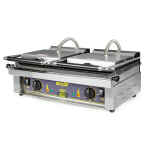 Our countertop cooking equipment buyers' guide has in-depth information on panini presses and other countertop units. "A great grill does two things. Cooks FAST with an EVEN HEAT. Perfect Grill. THE CAFE"